We found 3 episodes of Merge Conflict with the tag “sharing code”. We are all in on .NET Standard for sharing code between our projects and libraries for the community and things are about to get better with .NET Standard 2.1! We break down the latest news in the world of .NET Core 3.0 and .NET Standard 2.1! When is the right time to fork a repository and send a pull request for a feature request? Or is it better use a submodule in your own repository? Or maybe just copy and paste the code into your solution? We discuss all the possibilities. 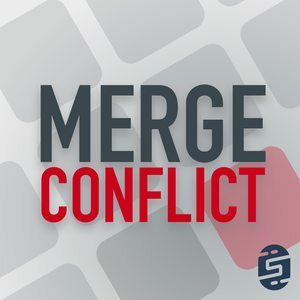 Merge Conflict 7: Is Code Sharing Worth It? Building cross-platform apps sure isn't easy, but code sharing sure helps, but is it worth it? How and when should you share code across a single app and across all apps that you are developing?